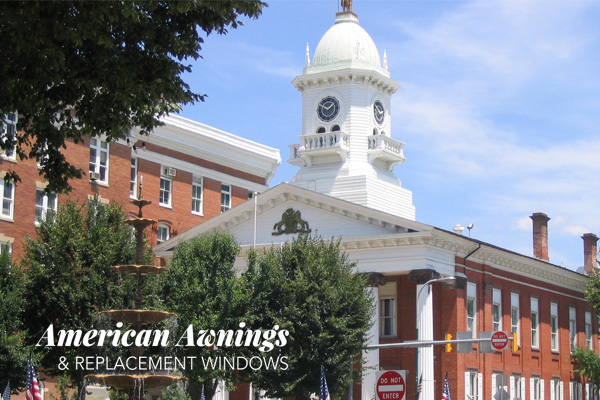 Residents of Chambersburg, Greencastle, Shippensburg, Waynesboro, and Blue Ridge Summit in need of a quality and affordable contractor, contact American Awnings & Replacement Windows today! Our superior quality and affordable pricing makes us stand out above the rest, providing premium retractable awnings and replacement window solutions for both home and business. Expand your living space with the style and comfort of a premium retractable awning. We have many different styles to choose from tailored to your individual needs, and our experienced staff will take the up most care to ensure your new retractable awning is installed in a timely and professional manner. Are you interested in making your old windows more energy-efficient, or simply upgrading the style and look of your existing windows? American Awnings & Replacement Windows can install a wide variety of replacement windows ranging from Bay Style, Bow Style, Geometric, and so much more. Our selection of glass, grid, and color options will make certain your new windows are the perfect fit for you.